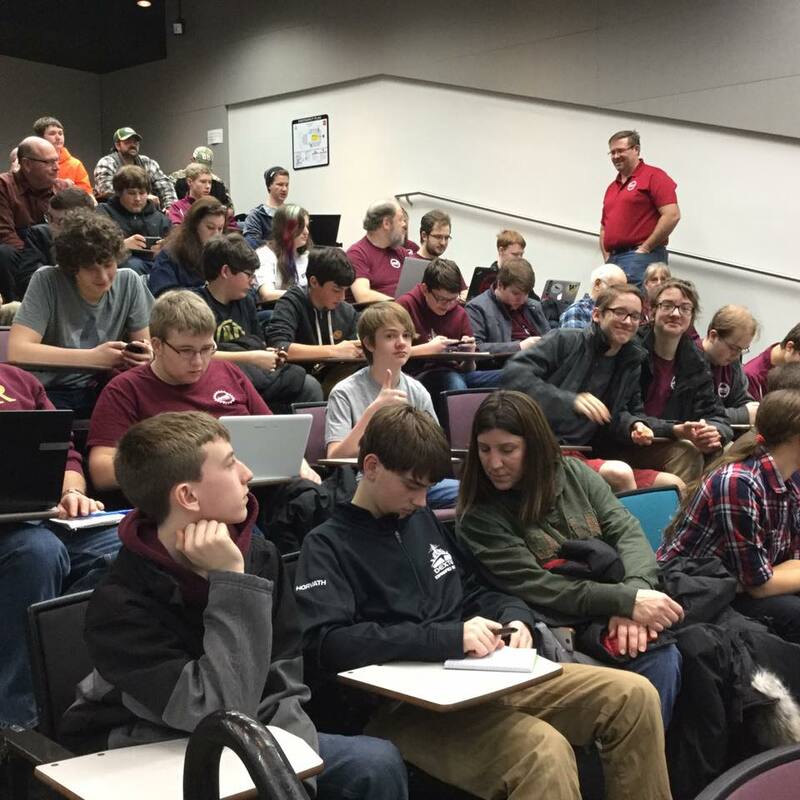 The anticipation in the room is palatable as our team waits for this year’s FRC game reveal on the campus of University of Michigan. What will this year’s game be? In past years competitions we’ve had to stack bins, toss disks, climb pyramids, shoot baskets, hang inflated tubes and more. Will we be presented with a new challenge or can we utilize what we’ve learned from past games? Our team grew by nearly 40 percent this year with the addition of 18 new team members. We now number 48 students and many mentors. Our team is huge as you can see from us being packed into our seats. This entry was posted in Game challenge and tagged Dexter High School, DHS, Dreadbots, FIRST, FRC, FRC team 3656, game reveal, kick-off, robotics, Stronghold, University of Michigan. Bookmark the permalink.